I am passionate about shiatsu, qigong and healing work and central to this is my desire to empower others to take responsibility for their own health and wellbeing. To help each of us become aware of our own healing process, to recognise when our bodies are out of balance and to find ways to bring ourselves back to health. To help each of us step in to being the magnificent beings we truly are! I run a range of workshops for all levels ranging from teaching how to do a simple shiatsu treatment for another, to working with our own healing Qi through Qigong and learning self-healing energy medicine techniques to use on ourselves on a daily basis. These workshops are a great way to deepen our understanding of our own health and to have some fun at the same time. Check the comments section at the bottom of the page for up to date workshops news. I will be working with my colleague Laure Lajarthe to hold a series of 5 workshops running seasonally throughout the year. 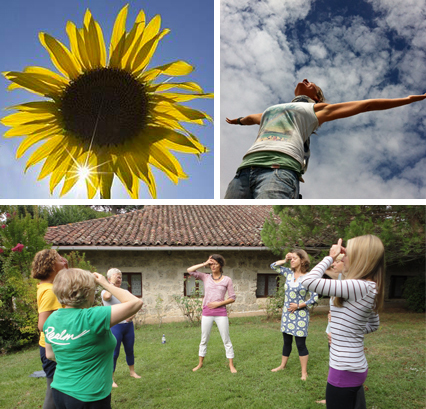 In these workshops we will be weaving the ancient wisdom of Qigong and the inspiring practices of Energy Medicine to help us feel in balance with the seasons. 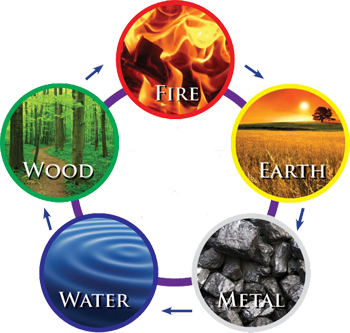 We will be using the Chinese theory of the Five Elements as a way of accessing our own bodes energy system to help us recognise when we are out of balance and to find ways to help us feel more aligned, energised and connected. These will be dynamic, uplifting and fun workshops using movements, meditations and stretches to help you to experience the energetics of the Five Elements within both your body and your mind. The class will be designed to teach you self-healing techniques, to give you the tools to take home with you so you can maintain your own health on a daily basis or rebalance yourself whenever things get to an extreme. No previous experience of Qigong or Chinese medicine is needed, just a willingness to step into the unknown and have some fun. These workshops are open to all levels and abilities, no experience necessary. Bring a partner, friend or come on your own and work with others on the day.